How do i contact Carers allowance? 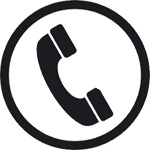 Carers allowance phone number and all known ways to contact Carers allowance. This way of contact is not currently working. This way of contact works. Shortcut to speak to an operator: "Ex: *4, type number, *6, *1"
Evaluate the experience in one sentence (maximum 100 characters): Ex: "brilliant", "very bad" or hashtag style : "#goodcustomerservice"
Want to help us improve customer service? Know something we dont? Add it here. The cost of calling a phone number depends on the digits it starts with, your phone provider and whether you use a landline or mobile.